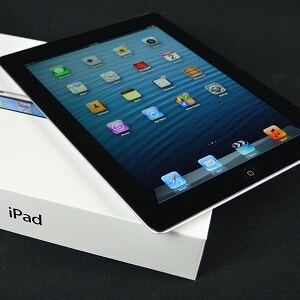 Apple has a history of producing cutting-edge and sleek electronics solutions, and the iPad is no exception. Believe it or not, the first iPad was released in April 2010, some seven years ago. Since the iPad was released, there has been a boom in mobile devices around the world. However, even though the iPad is extremely popular, Android is still the most used mobile platform in the world. The fact that Android devices are more prevalent than iOS devices means that developers will more often code third party software and apps for Android devices than the iPad. Nevertheless, most of the quality VPN service providers offer iOS support in the form of guides, technical staff, and knowledgebases. Even though iOS is a fairly secure operating system, it’s not without its faults, and iPad users need to secure their internet connections with encryption. If you’re struggling to find the best VPN for your iOS device, I’d highly recommend one of the following five best VPNs for iPad. ExpressVPN is an extremely well-rounded service, and is known for having fast server speeds. In addition to being available on iOS devices, it’s also available on Mac OS X, Windows, and even Linux via OpenVPN connections. In addition to fast servers and 24/7 customer support, ExpressVPN makes a great effort to supply its customers with troubleshooting and configuration guides for iOS users. Right now, ExpressVPN has servers in 94 countries, which is more locations than the vast majority of providers. Plus, ExpressVPN allows up to three concurrent VPN tunnels. Alternatively, you can set up a VPN connection on your router to secure all the devices connected to your home network. There are a couple drawbacks, though. First of all, ExpressVPN doesn’t have a free trial, so you’ll have to take advantage of a 30-day money-back guarantee if you want to test out their service. In addition, ExpressVPN is more expensive than many other providers. In fact, a one-year subscription will cost $8.32 per month. It’s not the most expensive provider, but it does cost a little more than average. Last but not least, note that ExpressVPN is based in the British Virgin Islands, is Bittorrent friendly, and doesn’t log user data. IPVanish comes in second as the best VPN for iPads, and it is similar to ExpressVPN in several ways. First of all, IPVanish is available on iOS, and its iOS guides are clean, concise, and easy to use. If you want, IPVanish is available on other platforms such as OS X, Windows, and Linux. A couple ways in which IPVanish differs from ExpressVPN are its pricing plan and network size. IPVanish only costs $6.49 a month with an annual subscription, which is significantly cheaper. However, IPVanish’s money-back guarantee only lasts for seven days (though I still think that’s enough time to test out a service). IPVanish’s network consists of servers in 60 countries. Unless you are trying to connect to a corner of the world that isn’t a popular web destination, I doubt you’d see a large difference between the size of IPVanish’s and ExpressVPN’s networks. I really liked how you can connect up to five devices at the same time with IPVanish. Lastly, in addition to being P2P and Bittorrent friendly, note that the software comes with a kill switch feature. NordVPN has created iOS guides for iPad users, and is an all-around good provider that works on all the major operating system platforms. The only complaint I have with their guides, is that they could highlight them to make the steps easier to follow. That said, note that NordVPN is cheaper than the previous two providers by a significant margin. The cheapest monthly rate is only $5.75, and it permits up to six simultaneous device connections. Not only is NordVPN great for iOS devices like the iPad, but it can support just about every other device you own as well. The number of simultaneous connections, cheap pricing, and multi-platform support makes NordVPN a great choice for families. And if you’re a Bittorrent user, don’t worry – NordVPN permits Bittorrent downloads. I wish it had a free trial, but it comes with a fairly common, 30-day money-back guarantee instead. What’s the catch? Well, first of all, it isn’t the fastest provider. Its network could stand to grow a little, too. Currently it has servers in 57 countries, though I expect NordVPN will add more locations as needs arise. The next best VPN for iPad users is VyprVPN, and it too has great guides contained in a knowledgebase on its website. One reason I like VyprVPN is the fact that its parent company, Golden Frog, is based out of Switzerland. Having said that, however, Golden Frog does seem to work with US-based developers. At any rate, it doesn’t appear to be based on US soil, and offers a smattering of connections including OpenVPN, Chameleon (a proprietary OpenVPN implementation that circumvents deep packet inspection), PPTP, and L2TP. VyprVPN is also available on all the major operating systems. The premium package permits up to five simultaneous connections. It doesn’t offer as many simultaneous connections nor as cheap a pricing model as NordVPN, but it does have a free trial and moderately fast servers. Expect to pay just $6.67 per month with the premium version, and note that it has servers in 64 countries. Also, note that there isn’t a money back guarantee, since VyprVPN provides a free trial. The last option is VPNArea. This is the cheapest provider that I feel is still a good fit for iPad users. Naturally, it is available on iOS, OS X, Windows, Android, and Linux. This VPN service is based out of Bulgaria, which allows it to have a very minimal logging policy. Like NordVPN, it permits up to six simultaneous connections among your devices. One thing I really like about this service is its speed test and server load data. This means you can always be sure that you aren’t connecting to a server that is overloaded with other users and connections. VPNArea has servers in 60 countries right now, which is about on par with the previous services. At $4.92 per month, it’s hard to beat its pricing. Even though it doesn’t have a free trial, you can always take advantage of the seven-day money-back guarantee. One of the pitfalls of mobile devices such as the iPad, is that they lack traditional network interfaces like Ethernet jacks. As such, they rely on wireless technologies, but WiFi has its own share of security problems. First of all, note that wireless communications are broadcast, and some hackers have ways of bypassing WiFi security to intercept and read communications that haven’t been secured. Only a few years ago, a Firefox addon called FireSheep would easily perform session hijacking techniques on a local wireless network to steal people’s login credentials. Even without FireSheep, attackers can still initiate attacks over public WiFi networks that could steal your data in the blink of an eye. The next time you bring your iPad to a coffee shop or airport, remember to use a VPN tunnel. When all of your data is encrypted locally, attackers can’t read it after it’s been intercepted. We simply can’t afford to place our personal data security in the hands of big companies like Microsoft and Apple. Even though Apple does its best to fend off governmental coercion, sometimes its hands are tied. And even though iOS is thought to be more secure than other operating systems, such as Windows, the operating system doesn’t protect data in transit through the internet. Once data leaves your iPad, as it does on a public WiFi connection, it’s easy pickings for hackers, script kiddies, and even rogue employees at internet service providers. To protect yourself against these threats, I highly recommend taking advantage of VPN tunnels. Not only are they easy to use, but they’re relatively inexpensive as well. If you’re still not sure which service you like best, my advice is to use a free trial or take advantage of a money-back guarantee to test out a provider. The safety of your data – and even your identity – might depend on it. I am using iPad 2, it is not the latest version of iPad but i have upgraded it to iOS 8. Will your recommended Express VPN work on it as mentioned in your Express VPN review..?